Janna is originally from Mangalore and came to Mumbai in 2006. He lives alone in Dharavi while his family still lives in a village near Mangalore. 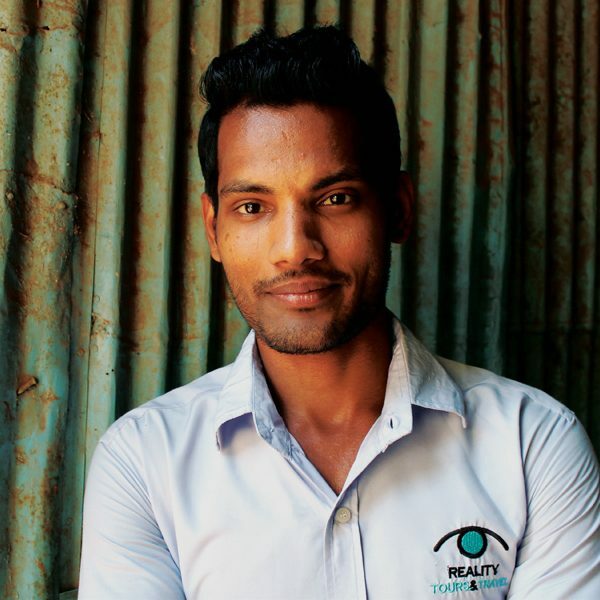 After his graduation from a night collage in Mumbai, he started working at a restaurant. He liked this work because he could meet many different people. But it was hard work and he wanted to learn more than he could at the restaurant, so Janna joined us as a driver here at Reality in 2009. Through his work here he learned English. After several years as a driver, he decided to become a guide to further improve his English. 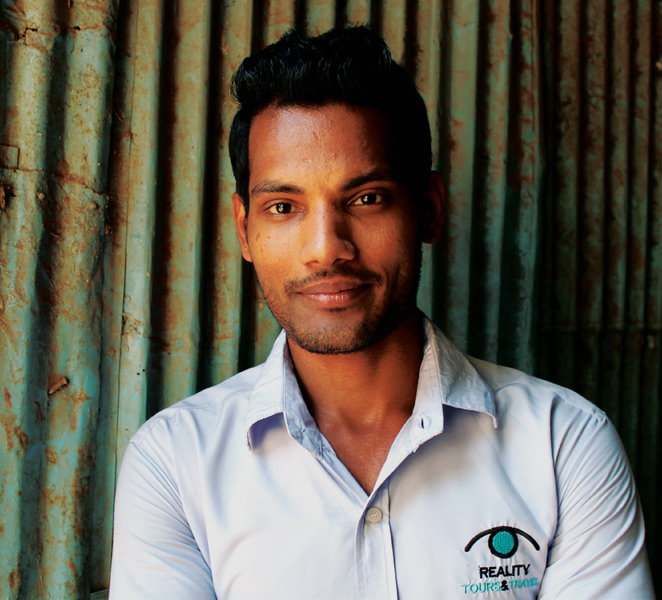 His dream is to save enough money to move back to his village and family.